Web design services are critical to a company's visibility and name recognition in the digital world. A well-designed site will take into account the overall feel of the brand and will tell the story of the company. 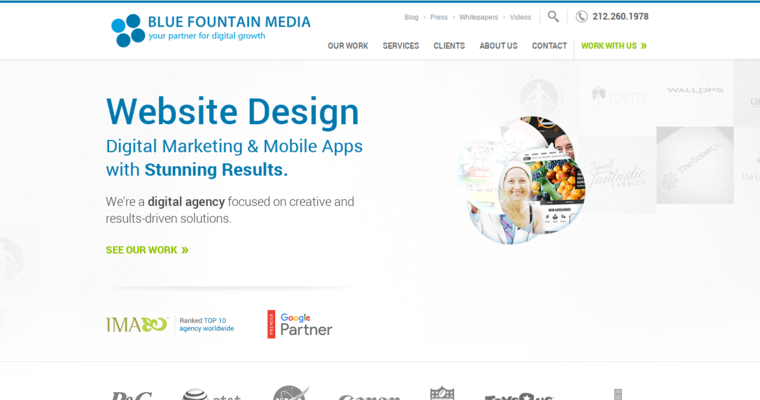 As a top ten service for web designing, Blue Fountain Media provides its clients with opportunities for customization, ecommerce platforms and responsive site designs. 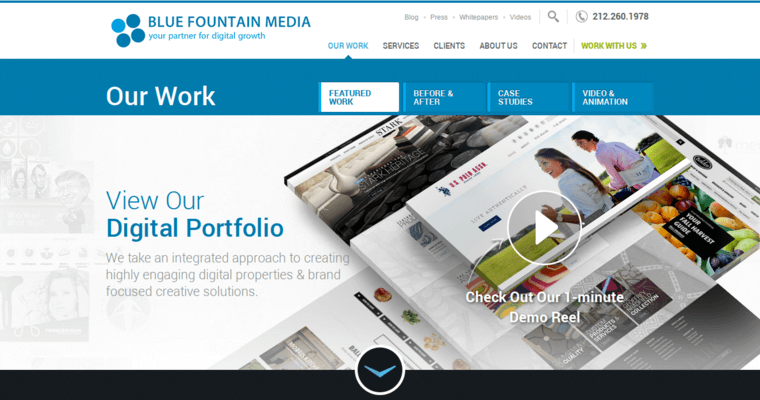 Blue Fountain Media meets multiple times with the client in order to set project timelines and goals. This helps to ensure that things go according to plan and that all of the features the client desires are included in the site in a way that makes sense. 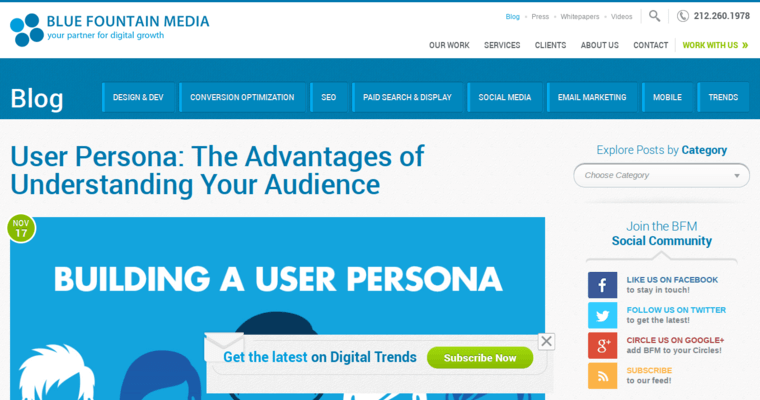 Blue Fountain Media is also able to build a site from scratch so that it is optimized for search engines. Even when Blue Fountain Media optimizes sites for algorithms, it works to ensure that the people who visit the site are happy.